JohngysBeat.com is all about meeting celebrities. Over the years, I have written about hundreds of celebrities. 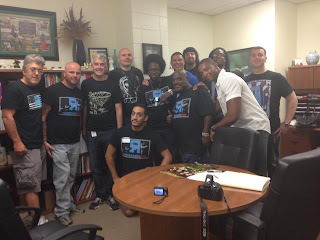 Today, I am writing about being with a music legend, two wrestling company owners and several wrestlers, but more important than that, I was with students from the Southside Occupational Academy for the debut of the R Pro Positive Outreach Program. The full report, including an interview with C Red, the man behind POP, can be found on the Patch at On the Beat with Resistance Pro's Positive Outreach Program. R Pro's Creative Director Billy Corgan (also of the Smashing Pumpkins) believed in POP so much that he took time from his insanely busy schedule to be there and speak. R Pro owners Jacques and Gabriel Baron were both there. Wrestlers Eric St. Vaughn, Matt Knicks, Marshe Rockett and Suge D were also joined by Michael Bradley and Stoney McGee (both of many roles within R Pro). This was a large assemblage of talent and all believed enough in the cause and in R Pro to make this happen. The goal of POP is to be a positive force in the community. I have seen for the last two years how things don't begin and end with the ring of the bell. It might sound cliche, but R Pro is really one giant family. People don't just show up for wrestling and then leave. We see each other, talk regularly, support each other and do the things that a family does. I have never felt more accepted by any organization. 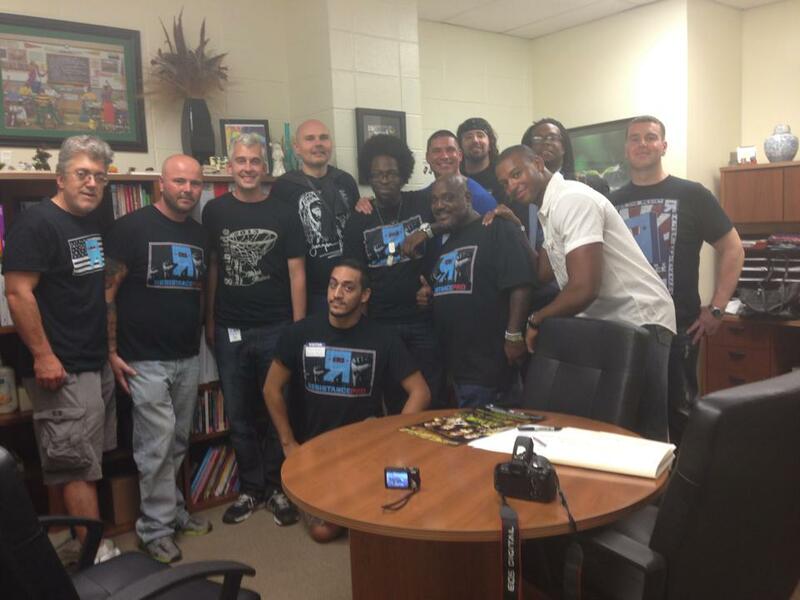 The goal of POP and R Pro was to be a positive in the lives of these students (and others in the future). I gave a bit of my time and walked away feeling more positive than I ever had before. Thank you C Red. Thank you R Pro. I love you all. The Resistance Pro crew in Chicago, IL-September 2013. Always nice to see how people can come together and help out!